The Congress on Friday alleged that senior BJP leader and former Karnataka Chief Minister BS Yeddyurappa had paid over Rs 1,800 crore in bribe to the BJP’s national leaders to become chief minister in Karnataka. 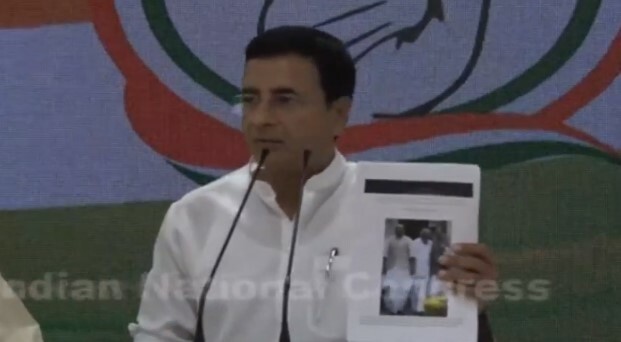 Addressing a news conference in Delhi, Congress spokesperson Randeep Singh Surjewala said that every page of the said diary had signatures of Yeddyurappa. Surjewala said that on 14 Feb, 2017, his party had released a video of ‘jail-bird BS Yeddyurappa’ and Late Ananth Kumar. In the video, he added, the two had admitted to keeping a diary and receiving Rs 1,000 crore. Surjewala said that the dairy showed that Yeddrurappa had ‘extorted’ Rs 2690 crore out of which paid Rs 1800 crore to BJP’s central team. The Congress’ press conference came after The Caravan website reported that Yeddyurappa had recorded these alleged payouts in a Karnataka state assembly legislator’s 2009 diary, in Kannada, in his own hand. The website further claimed that copies of these entries had been with the income-tax department since 2017. The diary, according to the website, also said that Yeddyurappa had paid Rs 250 crore to ‘judges’ and Rs 50 crore to ‘Advocates (fee paid for cases),’ without mentioning any names. The website said that it had sought responses from Jaitley, Gadkari and others, but they chose not to comment. Surjewala asked Prime Minister Narendra Modi to ‘come forward and say whether this diary is wrong or right’ and whether ‘Rs 1800Cr bribe was received or not.’ He said that this was a fit case for the newly appointed Lokpal to investigate. “If there is no truth in this diary, why isn’t Narendra Modi ready for an investigation? Now, even the Lokpal is appointed. Why can’t the first independent investigation be on this issue, “he asked. In May 2017, a city civil court in Karnataka had directed Yeddyurappa and late Ananth Kumar to appear before the investigation officer in a case of collecting “ill-gotten money” to give voice samples within a week.